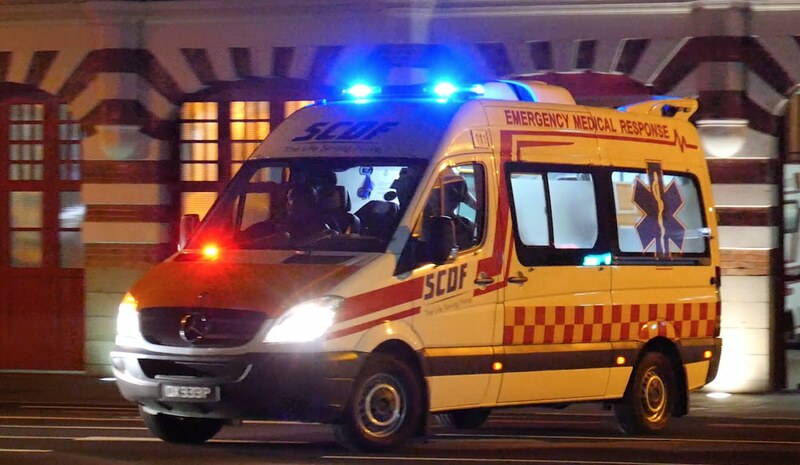 Singapore boasts an Emergency Medical Service (EMS) that operates 24 hours a day, 7 days a week. The facility is ready to respond to any medical emergencies in Singapore at any given time. They have an emergency ambulance that is manned by a team of 3 emergency medicine officers comprised of a paramedic and two Emergency Medical Technicians (EMTs), who are all well-trained and capable of handling a wide range of medical emergencies. When there is an emergency, every second becomes vital for the victim’s survival. When one is critically injures in an accident, that victim could have grave medical complications if one does not receive timely and accurate medical attention and treatment. The rapid response of emergency responders could dictate a seriously injured person’s life or death. When there is an emergency, citizens are advised to dial 995 to call for an emergency response ambulance. On the other hand, if the case is a non-emergency, one could dial 1777 for a non-emergency ambulance instead. These cases may be classified for the need to visit an outpatient department or health clinics, or cases where one can use their own transport or the public transport system. During non-emergency times, the EMS 995 should not be used since this could mean that a critical case may not be attended immediately. Furthermore, a vital aspect of the system is the Telephone Medical Triaging where the responders must effectively classify a victim’s condition. When one accurately classified each call based on severity, the EMS operation becomes efficient. The callers are asked to present relevant information on the victim’s condition. The supplied information is critical to provide accurate assistance during an emergency. In order for the 995 operation specialists provide faster response, the 995 caller should provide the caller’s identity and should provide a telephone number, the location of the incident with specific address and nearest prominent landmark, and the victim’s signs and symptoms. The caller should send somebody to wait for the EMS crew and should standby to assist, as necessary. Lastly, the caller should only hang up the telephone when the 995 operation centre specialist tells to do so. The Emergency Medical responders will then convey all emergency cases to the nearest and designated hospital, which is appropriate for the victim’s condition. This is practised in order to provide the earliest treatment possible, and to enable the emergency ambulance to be made available for the next emergency call at the shortest possible time. The 995 services are free of charge to all emergency cases.